A range of resistive splitter units, for use with Fringe 7 Way – High Output – Split High Output and Super Setback. 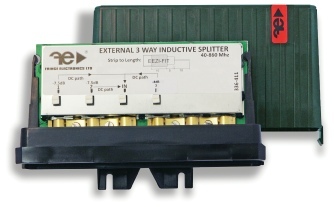 Three models of attenuation are available, fitted with sockets. Supplied with application notes. This unit is an ultra-wideband low loss outdoor unit for combining and splitting VHF & UHF signals. 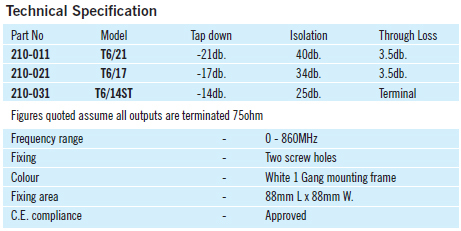 It has a low insertion loss and good isolation between inputs. The Fringe 3 and 4 Way external inductive splitters are ultra-wideband, low loss units for splitting VHF and UHF signals to up to 4 TV’s/Radios. 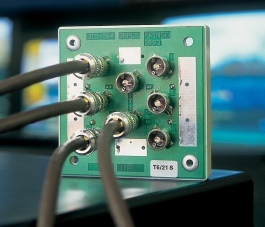 In strong signal areas they provide easy signal distribution, without the need for additional masthead amplification. With Eezi-Fit connections. ** For UK & Eire; a suitable 4G filter may be required.